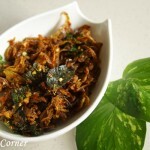 This is one of the popular dishes at our home.In Sri Lanka we consume dried fish and it is easily available to buy. 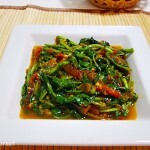 This dried fish stir fry is really good with coconut sambol and other curries together with plain rice. The same stir fry,I usually cook in few methods. In this method, I deep fry dry fish and later add into the fried onion mix. 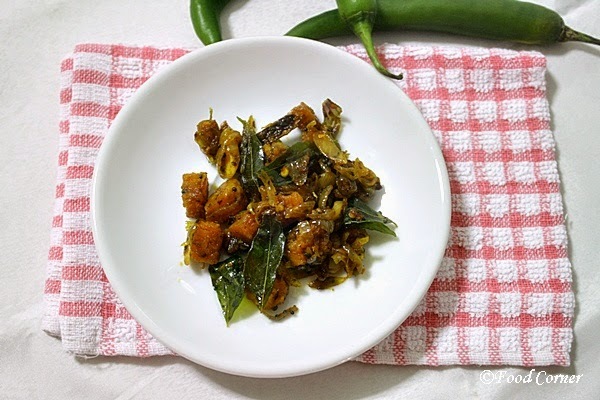 So,dried fish pieces are little bit crunchy.Anyway,we prepare this as a spicy dish.The more spicy, more tastier as we like it in Sri Lanka. Have a look. 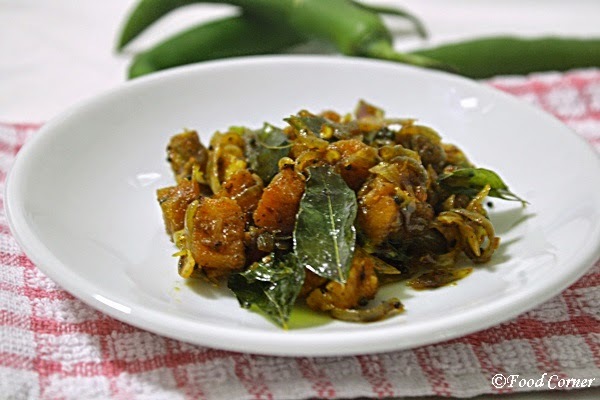 May be you will like this method when you cook dried fish next time.If you like dried fish in a curry, try this dried fish curry recipe too. Wash salted fish.Remove the skin if there is any. Cut into small pieces.Keep aside. 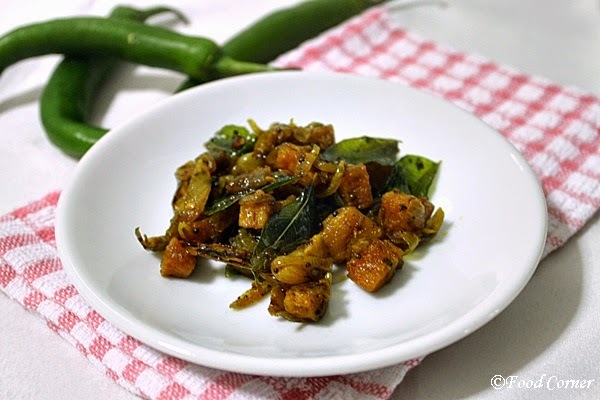 Slice onion.Slice green chilies lengthwise. First,deep fry salted fish and keep aside. Then in a pan, heat 2 tbspn oil,Add mustard seeds when oil is hot. 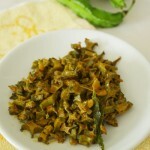 Once mustard seeds start to splutter,add onion,curry leaves and green chili.Mix well. When onion is tender,add turmeric powder and mix well. For this,add chili flakes and a pinch of salt. Usually dried fish are saltish.So,there is no need to add salt.However,I add a pinch to onion mix just to make sure taste is balanced in both onion and dried fish.You can avoid adding salt. When the onion mix is well cooked,add deep fried dried fish and mix well. Cover and cook for another 1-2 minutes. 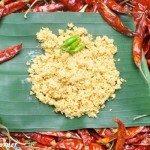 Remove and serve with plain rice. How about you?Do you like salted fish? Ooohh looks good. Thanks for sharing! 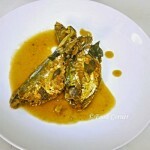 YUm – I remember my mom’s dried fish curry – this looks so good!